A/O contracts out. 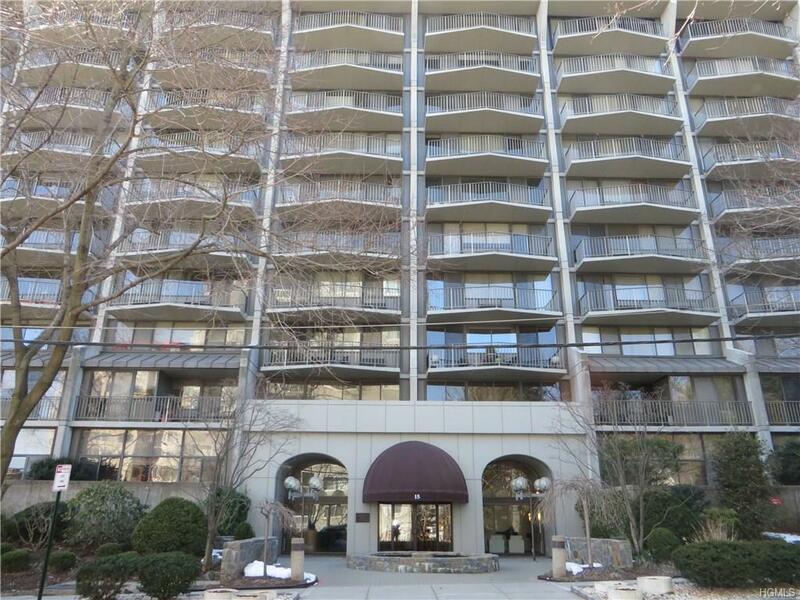 Luxury doorman building, Heritage Towers is located with easy access to all downtown White Plains has to offer. 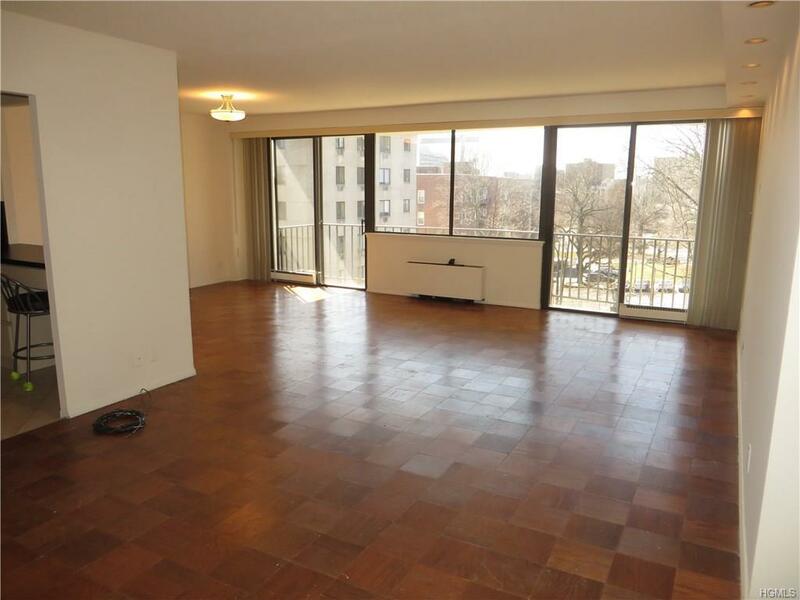 Well maintained two bedroom/ two bath unit has wonderful space throughout including the kitchen; largest kitchen floor plan for condos in the price range boasting lots of counter space and storage with a large pass through to the dining area. The entry with its wall of built-ins is open to the living room and dining area giving an expansive feeling and incorporating a wall of windows and sliders leading out to the large terrace. 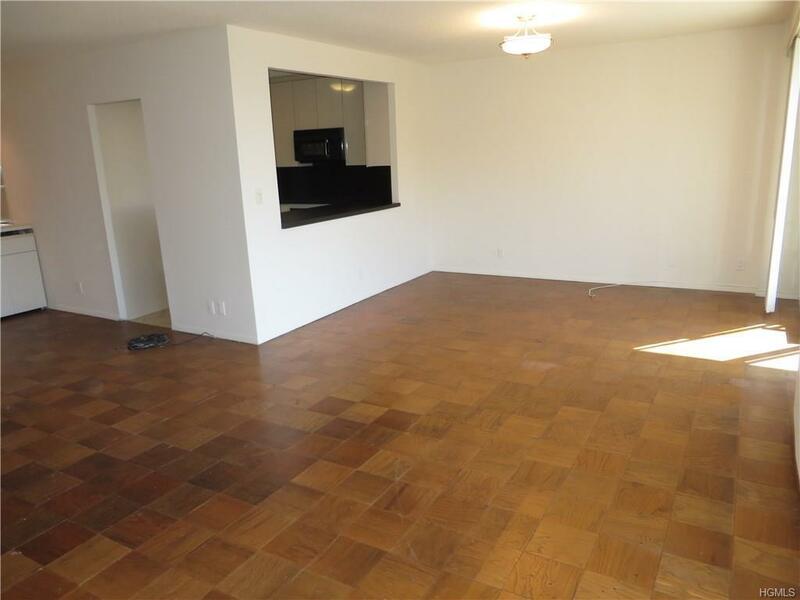 The master bedroom is very spacious with a large walk-in closet and its own master bath. The large window and slider that goes out to the master bedroom terrace make for a bright, sunny room. The second bedroom is also a good size with a wall of built-ins and a double closet. 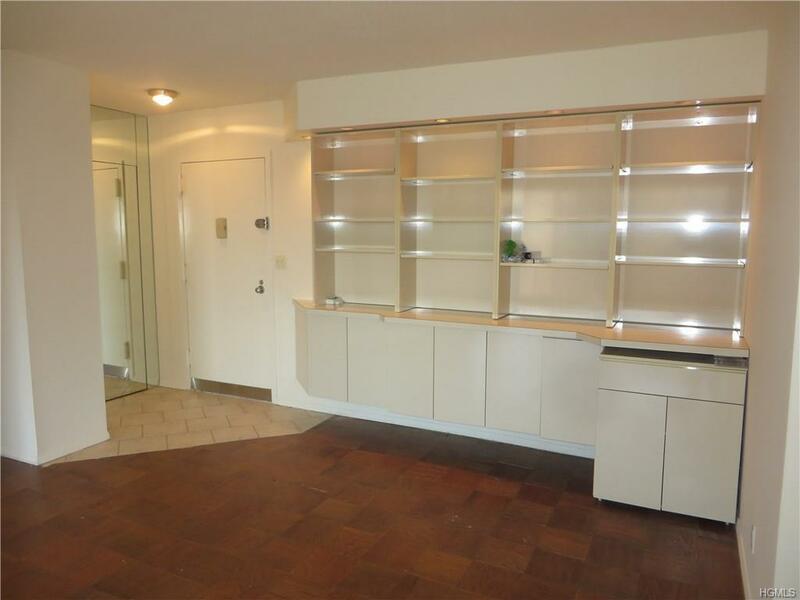 There is a hall bath and a wall of closets in the hallway (great closet space throughout). Each room has its own heat and cooling controls. Listing courtesy of Deborah Altieri of Houlihan Lawrence Inc..